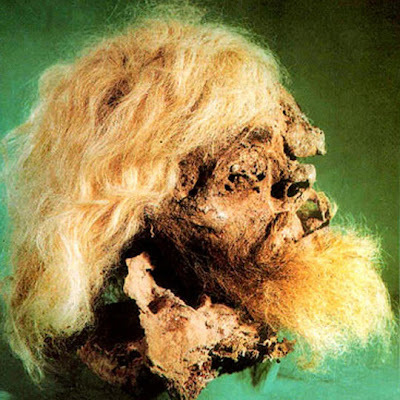 This man, a miner from northeastern Iran, was buried in a salt mine 1,800 years ago in a tunnel accident. Buried by rock, soil, and salt, his body was preserved by the antibacterial and drying properties of the salt in the mine. He is the sixth salt man to be unearthed by archaeologists from the Chehr Abad mine in Zanjan province. Hassan Fazeli Nashli, director of Iran's Archaeology Research Center, says that they have always had a problem in maintaining the preservation of the other "salt men."